We bought this isofix due to having two cars- one with isofix adapters and one without. This car seat can be fastened in with a belt. So car seat just clicks straight on no fuss or strapping in! Only down side is that it is heavy if you want to move it to a different car! This is a geat product, totally safe. Leave plenty room to put some bags under the front seat. The maxi-cosi carseat attached easily. I have 2 of these in my car for my twins. It makes it so much easier to get them in and out of the car. Connects to the isofix of the car and the car seat just clicks on. Great product. Car seat in take out in about five seconds. Could NOT have lived without it!! 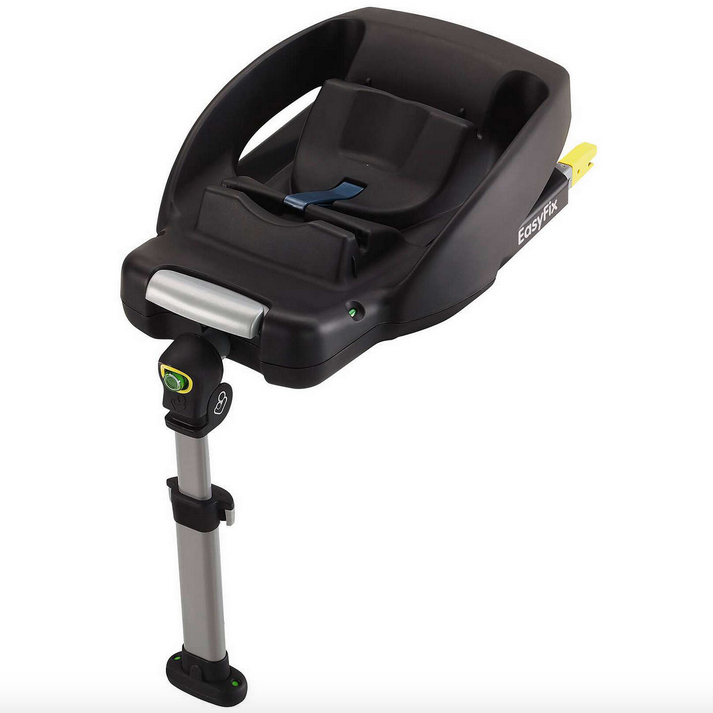 Easy to assemble and very sturdy for your carseats, pops in and off quite easily and compatible with all isofix cars, requires some force during assembly but one assembled it is good to go. Easy to pop in and out if you need the space in your car, portable and can be stored in the boot. Has a food stand to ensure car seat sits in straight and little one is fully supported during the ride. Click in and off mechanism and quite easy to handle one handed while holding car seat. This thing has been the best purchase we made for baby no2. With my first it was always a hassle pulling the seatbelt out and getting it around the seat without it retracting. With this it’s so so easy just place the seat on the iso fix and click it on. No fussing with seatbelts and getting in a tizz. I think it’s essential to have an easy base, it makes life so much easier when having a newborn/baby. We used it from day one until my daughter outgrew her first stage car seat. Will be buying again for next Baby. It's a great item if u have isofix adapters in your car, if not it's a total nightmare! Was great for them rainy days where u can chuck the car seat on the base and it's done without you getting soaked fathing with the belt. I used one of these with my first child and I have just bought another for my second (9 years apart) would highly recommend this product. I had and currently have a 2 door car and this is perfect for getting a baby in and out the car without struggle. Easy and quick too install into most vehicles that have isofix. Can also be installed without isofix with the seat belt. The bass has an adjustable leg to secure the base into place. Quick to secure the baby sit into. I didn’t have a car seat base with my first child, I thought it was an over priced expense I didn’t need to have... well baby number 2 came along and OMG I wish I had this for the first. It was so simple and easy to install (and move between cars if you needed) and putting the car seat on the base was so time consuming. I know my baby was safe and secure in an instant. Easy to install saves your back ! Absolutely fantastic. Incredibly easy to use . Just clips into place when in the car and comfortable for my niece. Having using these for her all the time, I'm definitely investing in one for when my little one arrives. Cannot fault it! Such a decent price too! Brill and easy to use with my car having isofix. Easy to clip the car seat on and also taking the car seat off. Best thing I have bought. Very secure and stable hold of baby car seat/carrier. Much better than using a seatbelt to hold it. This base is fantastic. I am reassured that my baby boy is secure in the car. The coloured spots show in whether the base is fitted correctly and when the seat/carrier is fitted are simple and helpful when you are securing baby in. This car seat is great for the popping baby in the car with knowing they are safe with one move , however getting them out is more difficult, you have to really pull the release handle to get the seat out which then wakes your baby if they are sleeping. Great base overall. I love the ease of putting the car seat in the car, without worrying about the seat belt. Great to take out and not have to wake a sleeping baby! A bit fiddly to install and remove, but this isn’t done very often so I can overlook this. Trying to get the car seat of the catch without waking baby became a skill! This is an ideal car seat base as you can use with a seat belt if your car doesn't have isofix. I used with a Cabriofix car seat and will again. Very handy to be able to click the seat in and out of the base. No fiddly straps so no unnecessary bending. Life saver after a c-section and/or if you have back problems. Good for supermarket trips as you can just click out and transfer to trolley. Especially handy if baby is asleep and you need those few extra minutes of peace. Made life so much easier on short trips. I absolutely love the base for the maxi cosi pebble. Makes it so easy to use with the clip in and go. Would recommend a base to anyone do much easier to take in and out a car seat especially if its raining. 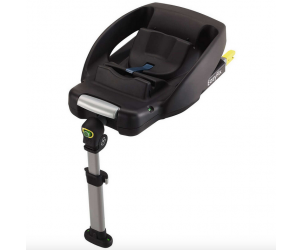 The Maxi-Cosi Easyfix base is a convenient and safe way of installing your Maxi-Cosi Cabriofix baby car seat.